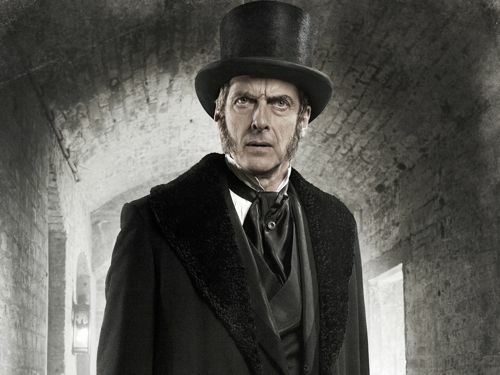 DOES Peter Capaldi watch himself on TV? “I don’t really have a hard and fast rule about it,” he replied. We met in March for a small round table interview high above the South Bank in London. When Peter was both charming and gracious. Which just goes to show what a good actor he is when tackling roles like The Thick Of It’s Malcolm Tucker. He stars this Easter weekend in a new two-hour ITV1 drama. My feature is in today’s Manchester Evening News and below, along with a few extras. PETER Capaldi doesn’t appear to mind when people ask him to swear at them in the street. “It happens pretty much daily. But it’s very nice. I’ve never met anybody who’s been unpleasant,” smiles the actor who plays foul-mouthed Malcolm Tucker in The Thick Of It. Tucker was inspired by ex-Labour spin doctor Alastair Campbell and is set to be given a new job in Opposition when the BBC2 comedy returns next year. “It will obviously be about the coalition. But Malcolm will be there plotting the defeat of the government,” says Peter, 53. Chris Addison, who plays political advisor Ollie Reeder, recently raised cash for Comic Relief by offering “one abusive phone call” from him and Malcolm. The Twitrelief auction promised “guaranteed swearing” and was sold to a fan who said they bought it as a Mother’s Day present. 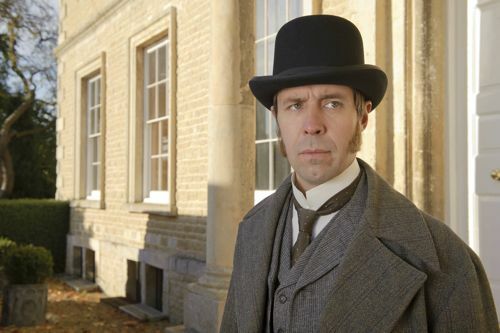 Fortunately, no swearing was required for Peter’s latest role as Samuel Kent in period drama The Suspicions Of Mr Whicher (ITV1, Easter Monday, 9pm). “Not at all. There was none of that called upon. Although I think people in that time must have sworn quite a lot. I think the same words have remained popular since they were invented,” he explains. 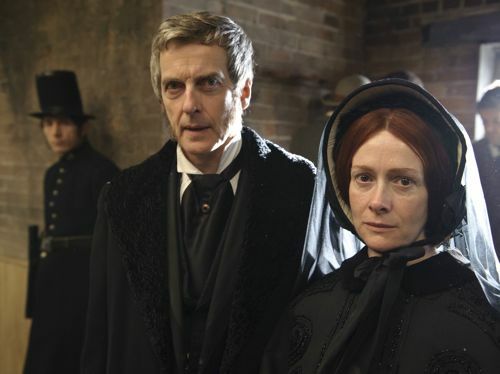 Set in 1860, the one-off film is based on the true story of a murder in a Victorian country house, with screenwriter Neil McKay adapting Kate Summerscale’s best-selling book for this TV tale. Red Riding and Hot Fuzz star Paddy Considine plays Scotland Yard detective Inspector Jonathan Whicher, sent to the country to track down a killer. Samuel is the father of murdered Francis Savill Kent, who was just three years and 10 months old when he died. The case became a national scandal, with the Home Secretary questioned about it in Parliament. 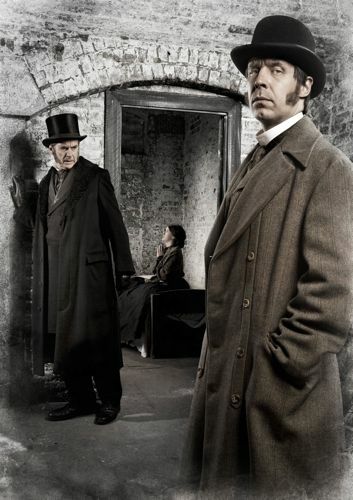 “It was very interesting because in Victorian times, clearly men led double lives with great ease. He definitely is somebody who has another side to him and what he presents to the world is not probably the truth,” says Peter of his character. Peter had worked with director James Hawes before and shared his vision of that period. “When Victorian times are depicted on television it tends to be a little sweet. And he was very keen to make it a bleaker world. Peter is still recognised for his debut role in the classic 1983 film Local Hero. “It’s extraordinary. It’s a much loved film. I’ve been stopped in the street in New York by New Yorkers who say, ‘You’re the guy from Local Hero.’ And that’s lovely. I think if you like it, you really like it. The Glasgow-born actor also directs. His short film Franz Kafka’s It’s A Wonderful Life won an Oscar in 1995 and he also directs award-winning BBC4 comedy Getting On. He’s also about to film a new BBC documentary about the forgotten stars of British film. “But you won’t know any of them because they’re forgotten,” he grins. As with most actors, Peter never had a career plan. “I’m very lucky still to be here. But clearly I’ve never figured out what was the right thing to do at the right time, otherwise I would be hugely wealthy. “It just sort of unfolds. It’s hard to plan. And you’re stuck with whatever you’ve got. I’ve only got what I can do, and I don’t really know what that is. So the stars have to be right. You have to be in the right place at the right time. “And The Thick Of It was amazing. I certainly never played dark, rage-filled characters. But obviously by that time I was a little bit older and had more to draw on,” he laughs. “I believe the BBC are still considering another series. I think it would be nice if the show was done again. They’re hugely talented women, hugely gifted. And what’s wrong with having a show about elderly people and death and how tough it is to work in the NHS, which is also funny? They should all have their own show. And they write it all. They put it all together. “I think it’s very much their project. I work through the scripts a lot with them. We shoot a colossal amount of material so when I cut it, it’s just me and the editor. So I have to make that work. And also I have ideas that I feed into it and that end up in it. But at the end of the day it’s their show. “But I don’t know whether people are frightened of it. It’s been a very good year for comedy. It’s all been very strong. But it’s also been quite mainstream. Everything in comedy has pointed back, which is all great. “But I think there are only so many awards and I think the BBC possibly…I don’t know how they make their minds up about what shows are going to come back. But I suspect they would tend towards the ones that they perceive as being more universally popular or easier to get into. I think Getting On is a little harder to. Wouldn’t Getting On be even more relevant in the current climate of NHS cuts? “I often ask my mum questions about acting and television because she’s a pensioner who sits at home. This idea that television is just watched by BBC3’s target audience is nonsense because most television is watched by a largely ageing population. “She loves New Tricks. I said, ‘What is it you watch?’ Because the plots are fairly predictable. And she said, ‘It’s those men. I just want to see those men.’ And I think she’d quite happily just watch those three guys sit and do nothing. So I think the central characters are what attracts people. And if you get a cop who is an interesting character. “Plots are plots. They’re all really the same thing over and over again. There are only, as they say, seven plots and especially with murders. Somebody did it. If you’ve only got five people to choose from, it’s going to be one of them. Let’s get on with it. So they’re just little mechanisms to allow us to watch. Posted in News and tagged Getting On, Kate Summerscale, Malcolm Tucker, Neil McKay, Paddy Considine, Peter Capaldi. Bookmark the permalink.